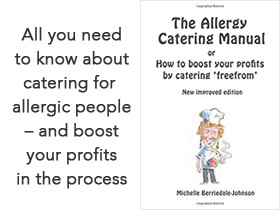 THE resource for food allergy and intolerance. Hundreds of articles, research and conference reports on every aspect of food allergy and intolerance and the many healthy conditions related to food. Interesting post on the Allergy Insight blog about milk and egg as ingredients in toothpaste. Since toothpastes are classified as cosmetics in the EU, they are not subject to food labelling regulations so milk ingredients might appear as 'lac', ‘colostrum’, ‘lactoferrin’ and ‘lactoperoxidase’ and egg as ‘lysozyme’, none of which are likely to be recognised by milk or egg allergic people. Go here for more. It is usually assumed that milk intolerance will trigger physical symptoms: colic, vomiting, diarrhoea and other gastro-enterological symptoms, especially in babies; eczema, urticari or other skin symptoms in babies and young children and respiratory symptoms such as allergic asthma or rhinitis. But it can also have a dramatic effect on both emotion and behaviour. See these case studies from the late Dr Harry Morrow Brown. It is scary having a new baby. But how much more scary does it become when, even though you are breast feeding and doing all that the books tell you to do, your baby is obviously in constant pain, is not sleeping, is covered in eczema and is patently ‘failing to thrive’. And assuming that you get past those first few horrendous months, what happens when you get to weaning? And your child refuses to eat or vomits up the foods you try to feed him or her. Worse, what if your child reacts by gasping for breath and suffering what you will come to know as anaphylactic shock? All these things happened to Emma Amoscato. She battled with GPs, combed the internet for information and learnt ‘on the hoof’. But how she longed for just one book, one source of information, which could answer all of her questions. So now she has written it. 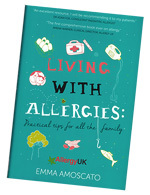 Sensible, down to earth, informed and practical – a seriously invaluable book for any allergic family. 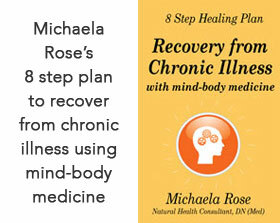 Go here for a longer review or here to buy the book. Research student Kristina Newman at Aston University is looking for 11–16 years olds, both with and without a food allergy, to take part in a survey on what they think about food allergies. 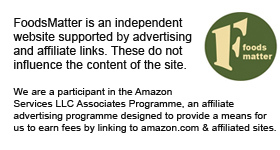 Participants can enter a raffle with the chance of winning one £50 – or one of five £10 – Love2Shop vouchers. 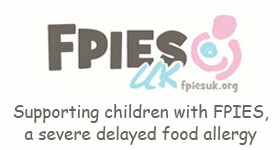 Click here to find out more and to fill in the survey if YOU DO NOT have food allergies. 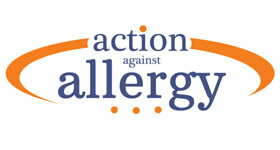 Click here to find out more and fill in the survey if YOU DO have food allergies. Legumes are a common cause of allergic reactions. Peanut is perhaps the most well-known, but many others (peas, beans, lentils and even some spices) may also cause problems. These legumes are widely used in our foods, yet fall outside EU food allergy labelling laws. Avoiding legumes outside the top 14 is not easy. Aside from the labelling issues, as plant-based eating becomes more common, so too have vegan products and restaurant dishes containing legumes. Legumes also crop up in many free-from and gluten-free products, and often in places that you wouldn’t expect. 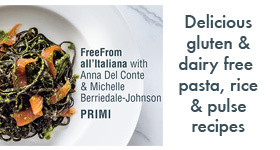 Peas and beans, for example, are widely used to replace egg and gluten in free-from and gluten-free bakery items. This creates a real problem for legume-allergic consumers. Many may also have allergies within the top 14 and be regular buyers from the free-from aisle. For a more detailed article and advice on avoiding legumes see Sarah Leggatt's article here. 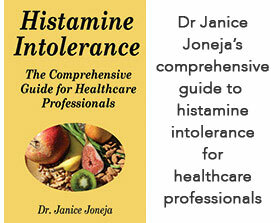 The incidence of food allergy and intolerance has increased dramatically over the last 30 years world wide. Food allergy occurs when the immune system gets confused and instead of ‘tolerating’ a food, reacts against it. Latest allergy thinking suggests that ‘immune tolerance’ is actually governed by our gut bacteria. So an alteration in the function, or even the structure, of our gut bacteria could be crucial in the development of food allergy. Increasingly it appears that environmental factors, including a low-fiber/high-fat diet, cesarean delivery, antiseptic agents, lack of breastfeeding, and drugs are altering our gut bacteria (microbiome) and are therefore relevant in the development of food allergy. 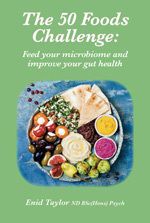 The question is whether it is possible to develop foods and other dietary interventions – such as different strains of probiotics – to reverse the effects of those environmental factors. For an interesting review of the research to date see the February issue of Frontiers in Immunology. 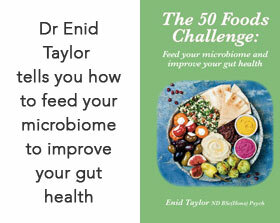 Those who would like to broaden their dietary intake anyhow in an attempt to minimise damage to the microbiome might want to look at a rather fun book by Enid Taylor of the FMT Taymount Clinic - 50 Foods Challenge: Feed your microbiome and improve your gut health How many different foods do you eat in a week? 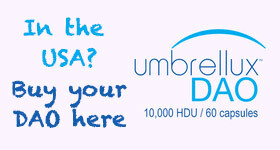 You could be surprised….